Barcelona, 18 January 2017: Leading hotel technology provider eRevMax has completed 2-way XML integration with ByHours, a new room optimizing platform for hotels to generate complementary revenue. This is the latest addition to the eRevMax Channel Ecosystem that connects hotels to over 300 online channels providing them with multiple distribution options. Accommodation providers, using RateTiger, RTConnect and LIVE OS distribution solutions will now be able to optimize their RevPAR (Revenue per Available Room) by making real-time rate and inventory updates and receive direct bookings generated on the interface directly into their property management system. 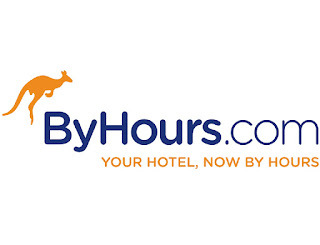 ByHours is the first and only online booking website and app that allows customers to book hotel rooms in packs of 3, 6 or 12 hours, with flexible check-in. An award-winning start up, ByHours is already operating in all major European cities selling inventories of 1000+ hotels, and has a base of over 150,000 loyal customers. “ByHours.com is a new room optimizing tool to generate complementary revenue. Whilst you focus on selling room night, we will work on monetizing those empty rooms that you probably have on a daily basis. For the past 4 years, we have been working mostly in the Spanish market, establishing a strong network of 1,000 independent hotels and hotel chains. Based on our innovative business model and successful growth, we have started our international expansion last year. Our solution has been designed to help any hotel to generate complementary income out of its inventory. Joining up efforts with eRevMax is a key opportunity for ByHours to become the first company to monetize micro-stay services with a streamlined operative approach,” said Cyril Lefay, COO, ByHours. “It’s always been important for us to offer our hotel customers a diverse range of distribution options through eRevMax Channel Ecosystem. The integration with ByHours will give our hotel customers an opportunity to sell empty rooms or resell the same room more than once a day to a new category of national and international travelers and gain incremental revenue,” said Ashis Saha, SVP – Project Management, eRevMax. eRevMax continues to build upon its already strong channel partner base to offer sophisticated real-time revenue opportunities to the hospitality industry. This includes solutions for the independent market, the mid-market and scaling up through the large, global hotel groups. eRevMax's Channel Ecosystem facilitates quality, certified connectivity and relationship management services to support complex revenue generation strategies. RateTiger product suite offers the industry’s leading ChannelManager for online distribution, Shopper for rate benchmarking. RTConnect provides seamless 2-way XML integration of channel management functionality with the hotel’s central systems. LIVE OS offers hotels a single sign-on platform to access multiple applications, while offering technology partners a chance to get in front of hotels allowing greater distribution of promotional opportunities. For more details about eRevMax, please contact marketing@erevmax.com.